Emirates Post Group has launched a commemorative stamp in honour of AFC Asian Cup football tournament which is being hosted by the UAE for a second time. 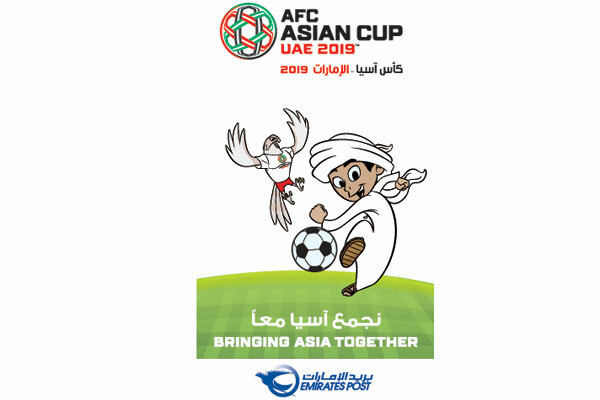 Now in circulation throughout the seven emirates, the AFC Asian Cup stamp features the competition’s mascot Mansour, a local Emirati boy who captured the heart and spirit of the tournament during the opening ceremony at Zayed Sports City stadium. Emirates Post said the commemorative stamp is sure to excite football fans and collectors. Speaking on the new stamp, Abdulla Mohammad Al Ashram, the acting group CEO of Emirates Post Group, said: "We are immensely proud the AFC Asian Cup is being hosted in the UAE for a second time and to celebrate we’ve launched a very special stamp. The prestigious sporting event marks a historic moment in the UAE’s history as we welcome football fans from across the continent to the Emirates for a second time." "As balls are delivered into the box on the pitch, letters are being delivered with an AFC Asian Cup feel, with a commemorative stamp, honouring the tournament," stated Al Ashram. "We are truly “Bringing Asia Together” by hosting this diverse tournament with participating teams that include Australia and South Korea. What a way to start the UAE’s Year of Tolerance and another great example of the nation’s enduring respect for all people across the world," he added.